The seasoning you love, now in bag form. Back when I reviewed Trader Joe’s South African Smoke Seasoning I was delighted to discover it was one of Trader Joe’s hidden gems. Easy to overlook on shelves full of peppercorn grinders and rock salt, this South African style seasoning is imbued with a whole different dimension of flavor – the savory, rich taste of smoked meat. When used on hamburger, steak, chicken, or anything you might like to barbecue, it’s a killer seasoning that brings to the fore the richer, meatier flavors hidden in any meat – a little magic touch of South African umami. Of course Trader Joe’s would be Trader Joe’s if they could just leave it there. Which has lead, apparenlty, to Trader Joe’s throwing this seasoning designed for meat onto potato chips with the new Trader Joe’s Potato Chips with South African Style Seasoning. It’s an innovation that could go either way. On the one hand, we live in an age of out-of-control potato chip creativity. Bold, daring and, some might say, insane flavors of potato chips are not just possible to find, but aggressively marketed from supermarket shelves. 10 years ago about the most “out there” chip you could find was jalapeno. Nowadays you can dabble in the sorts of epicurean excess that would have made Nero take note. Chicken & waffle flavored potato chips, mac & cheese, wasabi ginger, balsamic vinegar & rosemary, – even cappuccino, by god, cappuccino! It’s an age of snack madness, and one that Trader Joe’s is clearly unafraid to get in on. Already they’ve weighed in on with their non-standarad Beurre Meuniere Popcorn. Throwing a meat seasoning onto potato chips is almost tame by comparison. So we can’t doubt the boldness of Trader Joe’s resolve or vision – the question is, does this seasoning actually go well on potato chips. The answer, sadly, is no. 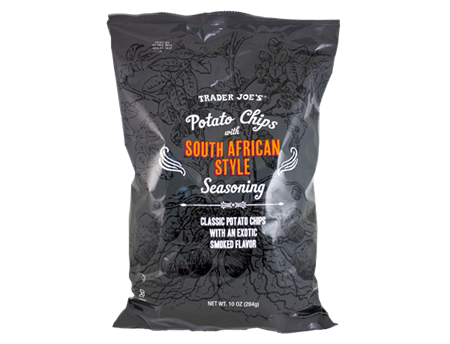 The same qualities that make the South African Smoke Seasoning so savory on meat work against it here – it’s simply too salty and strong tasting for the simple potato chips. Divorced of a meat base, the seasoning has nothing to work off of. The result is sort of like throwing a handful of the seasoning directly into your mouth. It’s not that the taste of the seasoning is bad, it’s simply overpowering. When used on a grilled steak or hamburger, the smoke seasoning simply blends in to the complex profile of the flavors at hand. Here, on its own, it has the very strong taste of bratwurst, or as one taste tester put it, “burnt hot dog”. How much you’re going to like these chips, then, depends on how much you like that heavy, bratwurst taste, without getting the juicy bratwurst bite. This wouldn’t be as much of a dealer breaker if it wasn’t for the strength of the taste. Trader Joe’s isn’t mincing around here – each chip is blasted with a full on shot of seasoning that is close to overwhelming. These chips are best not eaten by the handful, but slowly, one by one, or not at all. For me the intensity of the flavor simply didn’t work together very well. Between the serious saltiness, and the heavy seasoning these chips tended to overshadow whatever I was eating them with. When your potato chips taste more like hot dogs than the hot dogs themselves, it’s generally not a good thing. The chips may not work very well as chips because of the seasoning, but what if they were the seasoning. That barely coherent thought is what lead me to cook up the recipe below – country fried steak, with crushed potato chips instead of breading. Spread the flour around in one dish, and the potato chip dust in another dish. Have the eggs ready in another dish or shallow bowl. Repeat these steps with all the meat. Place enough of the vegetable oil to cover the bottom of a skillet and set over medium-high heat. Once the oil begins to shimmer, carefully add the meat. 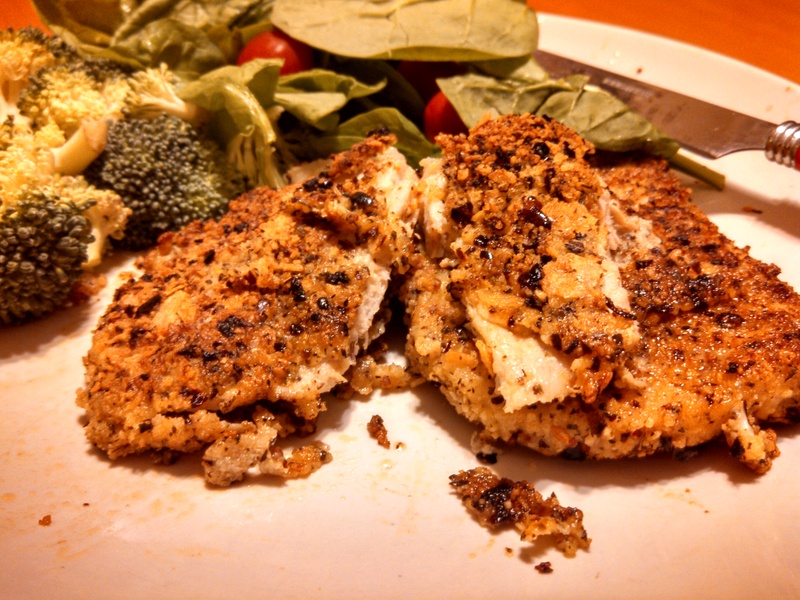 Cook each piece on both sides until golden brown, about 4 minutes per side. Notes: This recipe delivers a crunchier steak than you might otherwise get, and the African Smoke Seasoning lends it’s helping hand, giving it a robust, BBQ sort of taste. Turning chips into the seasoning instead of just adding the seasoning directly might be considered taking the long way around, and that’s a fair criticism, but dammit we live in the world of the Mini Waffle Stick Maker and Segway. If something’s worth doing, it’s worth doing in an unnecessarily, silly way. A delicious gravy is bound to help these steaks out, but that’s beyond the purview of this post. Would I Recommend It: Not unless you usually feel your brautwurts aren’t brautwursty enough. Would I Buy Them Again: I don’t think so. Final Synopsis: Trader Joe’s excellent south african style seasoning should stick with meat instead of potatoes. Flax seeds *and* chia seeds *and* stylish packaging? I’m in. 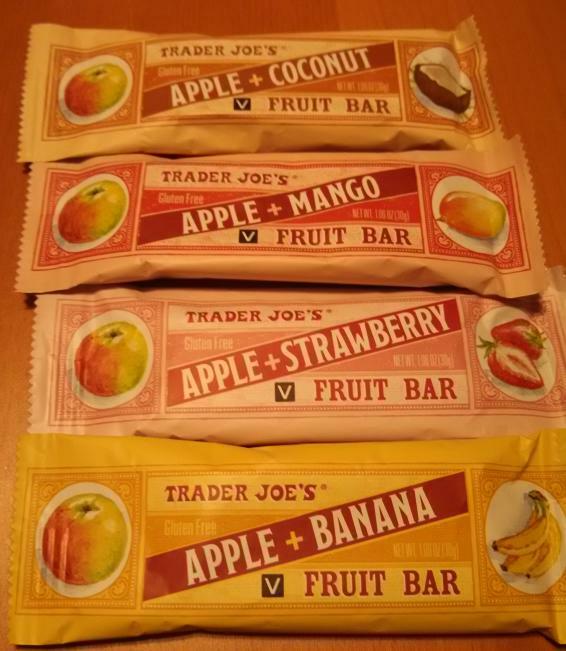 Trader Joe’s has renewed it’s fruit bar producing efforts of late. We just took a look at their new line of thick and hearty two ingredient only fruit bars. Not content to rest with a mere 14 varieties of fruit bars across three separate labels, TJ’s has released yet another one – this one simply called “Fruit Bar with Flax and Chia Seeds.” The hardest part about covering these bars are their homogeneous names, a trend that TJ’s has decided to double down on by not even telling you what kind of fruit this bar has in it. Fruit, it suggests to you coyly, with seeds! Okay TJ, that weird enough to get my attention. The reason, it turns out, that Trader Joe’s leaves the fruit name off this one is that, for once, it’s a blend of the whole orchard. Apple puree is the primarily ingredient, followed by a mixture of pear, elderberry and strawberry touched with lemon juice. I went in to the bar with low expectations – after reviewing every fruit bar TJ has to offer, I was pretty sure they wouldn’t have any more surprises for me. I was wrong. This bar easily bests all of the Apple & Whatever bars I reviewed last month. That maybe shouldn’t be such a surprise really – when you limit yourself to just 2 ingredients, you’re also limiting our flavor palette. 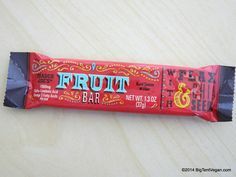 Trader Joe’s Fruit Bar with Flax and Chia seeds has a much deeper, more nuanced taste, injecting each chewy, tacky bite with a density of flavor, one fruit mingling harmoniously with the next in a way that teases the tongue to probe each bite. The lemon juice, in particular, has an appreciated presence, giving the bar a zesty bite that sets it aside from its starchier, blander siblings. In and of itself, Joe has a winner here. However, they don’t stop there, mixing in a pinch of flax and chia seeds to boost the nutritional profile. Both flax and chia seeds have been very much in the public eye of late for their “super nutrient” qualities. While their purported qualities owe as much to marketers as they do to science, these seeds are undeniable potent sources of nutrients and fats. 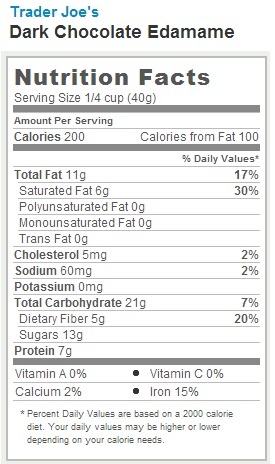 Each bar brings a full 1000 milligrams of Omega-3 Fatty Acids, advertised right there on the front of the wrapper. That’s a fun perk if you’re trying to get more into your diet, and an interesting concession to texture for the rest of us. 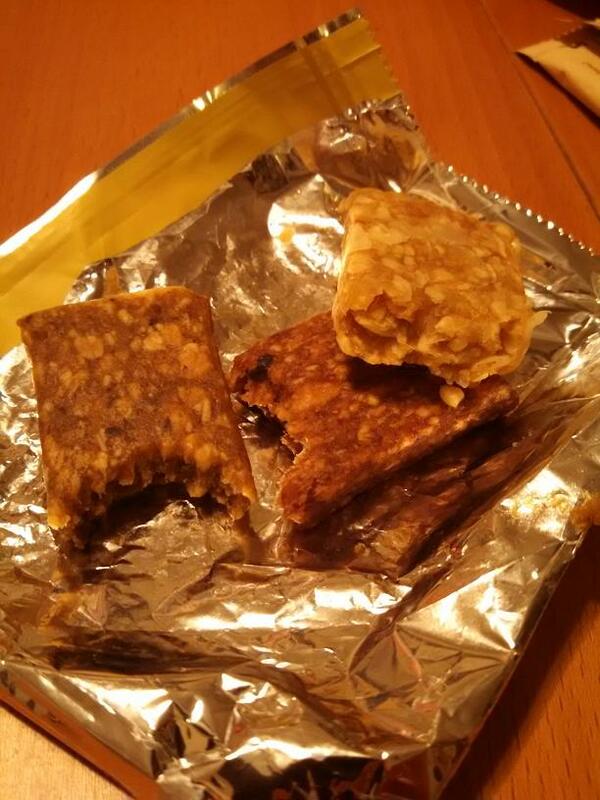 As already mentioned, the bars is gooey and tacky in that “stick to the wrapper” kind of way. The added seeds give the bar a touch of crunch to each chewy bite that lends them a touch of welcome body. The result is a surprisingly tasty, fruity, and munchable fruit bar. If you’re looking for single ingredient fruit bars (or fruit leather), you’ve got plenty of choices out there. However, if you’re just looking for a good fruit bar to snack on, this is the best TJ currently has to offer. Would I Recommend It: Sure, if you like fruit bars, or need natural alternatives Fruit Roll Ups. Would I Buy It Again: I’m not a big fruit bar guy, but if I was this is the one I’d go for. Final Synopsis: Trader Joe’s tastiest fruit bar. We might as well be in Sardinia right now. Sometimes you’re just hankering for something from Sardinia. Maybe the Big Game is about to come on, or maybe the kids are driving you up the wall? Times like these, nothing hits the spot like a little something Sardinian. Not only does Trader Joe’s Sardinian Parchment Crackers bolster the relatively anemic roster of the Sardinian products available from your grocer, but it also has the added benefit of sounding like the hotly contested artifact a dashing archaeologist might be racing Nazis for. So it’s a great name – but what is a Sardinian Parchment Cracker?Well get ready for some excitement folks, because it’s very thin, flat, unyeasted cracker bread milled from semolina. In other words, a taste explosion. This might be expected given the origin of these crackers – invented circa 1000 BC by wandering shepherds trying to make a portable lunch. No bread lasts so well as a good, dry cracker, and so this it was that this simple, broad, flat snack entered the world. 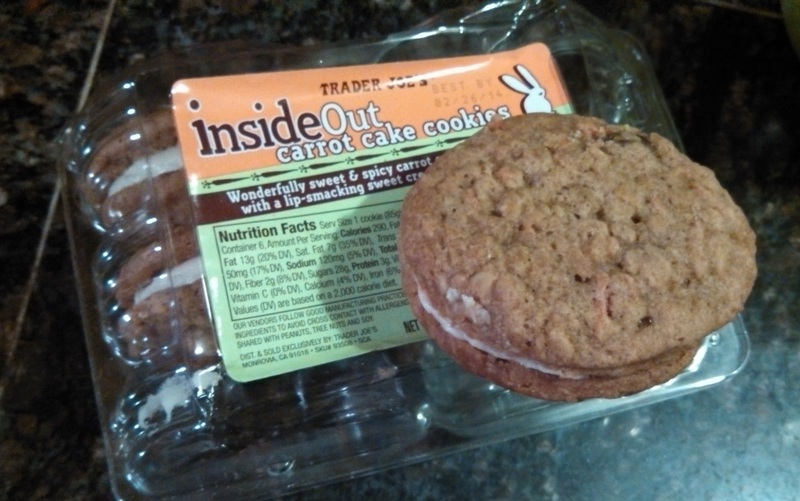 Joking aside – Trader Joe’s Pane Guttiau is a good tasting cracker with some intriguing applications. In terms of flavor, these crackers are very close to saltines, only enlivened by a touch of olive oil and served much thinner. Much, much thinner actually. The more jocular name for pane guttiau is carta di musica or “music sheet” – either because these wafer thin crackers resemble wrinkled sheets of paper, or because they’re so thin that you can actually read a sheet of music through them. This is no exaggeration – I was able to see my hand through a sheet of pane guttiau, which is not something most crackers can brag of. There are two main reasons you’re going to want to come to these crackers – for the size and for the texture. The taste, though good, won’t blow you away – it’s the huge 4-5” size of each cracker and their light, crispiness that lets you snack on these in a whole new way. You won’t necessarily be digging into a tub of hummus with these crackers – though you can manage it if you’re careful enough. Instead, they lend themselves to being layered with thin slices of salami and cheese, or dabbed with a nice tapenade and had as an antipasta. There’s something really enjoyable and liberating about dealing with crackers this size. 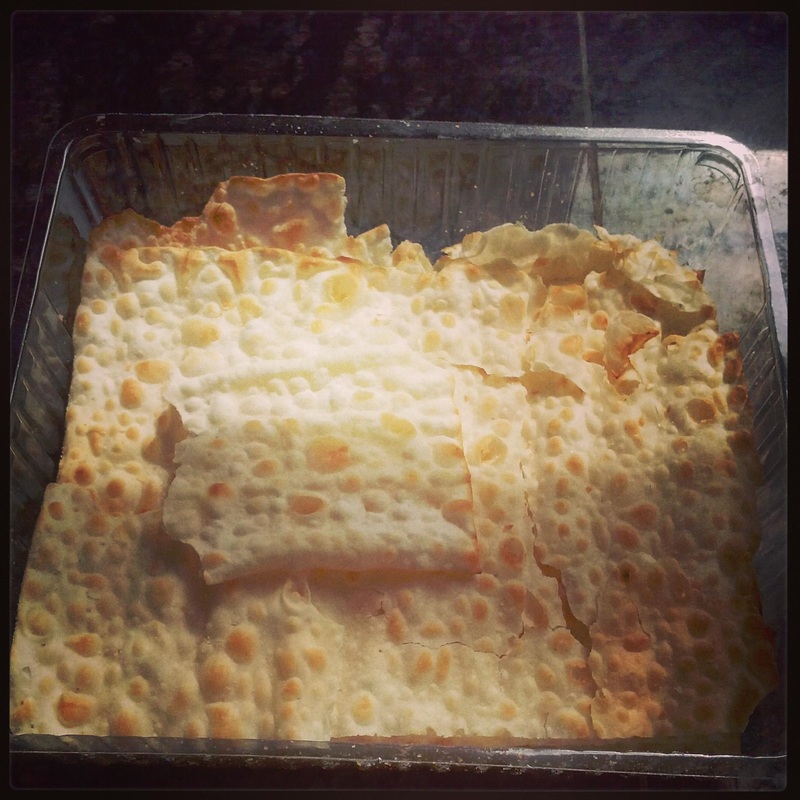 Instead of being forced into dealing with a set size of cracker out of a box, these parchment crackers allow you to easily snap off any sized section you want from the larger cracker. Nibble on a broken-off corner or stack a plate with multiple layers – the versatility of the pane guttiau is tremendous. A final note, despite the thinness of the crackers, I found that Trader Joe’s packed a good number into each box. I wound up running out of things to put on the parchment crackers before the parchment crackers themselves ran out. If you’re going to try these – get some good cheese and meats, some nice spreads, and enjoy a little free-form snacking. Would I Recommend Them: Yes, particularly if you’re exhausted by traditionally sized crackers. Would I Buy Them Again: Eventually, maybe when I have guests over. Final Synopsis: These ancient, wafer-like crackers are a whole new way to snack! A font that fancy even makes poutine look classy. Put on your checkered, ear-flap caps readers, because today we’re going full Canadian with Trader Joe’s Poutine. Poutine – what is poutine? What is this strange word, this strange brown bag smiling broadly at us from the depth of the freezer section? What do french fries, cheese curds and gravy have to do with each other? To put it simply, poutine is French Canadian nachos – only instead of tortilla chips you have fries, and instead of melted cheese you have gravy, and instead of jalapenos you have melted cheese. Yes, I know that’s confusing, but there’s no avoiding that. Only a Canadian can truly understand poutine – just as only Aussies can truly understand Vegemite, only Scots can truly understand Irn-Bru and only Americans can truly understand root beer. Nevertheless, I’ll do my best to explain. Basically, what you get with Trader Joe’s Poutine is a big bag of frozen french fries, a packet of beef gravy and a packet of cheese curds. The idea is, you cook the fries in your oven, while warming the gravy and curds on the stove top. Once everything’s ready, you top the fries with the curds, drizzle the gravy over the whole lot, then eat it with a fork/your fingers. It’s a sloppy heap of messy, salty savory junk food perfect for anytime you feel like abandoning your goals and dreams in favor of immediate mouth-stuffing gratification – again, not unlike nachos. I’d never had poutine before, which presented me with a unique challenge. How could I fairly review Trader Joe’s Poutine, and thus avoid incurring Cannuck ire, without anything to compare it against? Where was my control group? A Google search revealed the depth of my problem. Although poutine is wildly popular in the barren polar regions of North America, it doesn’t have much of a presence anywhere so far south in America as Los Angeles, CA. I was able to find a number of upscale restaurants offering their own nouveau fusion versions of poutine designed to downplay the more uniquely Canadian side of poutine (read: giant salty cheese curds) in favor of a more marketable, bastardized dish, but little in the way of real, authentic poutine. For a moment I thought I’d found a lucky break in the form of the Gravy Train Poutinerie – a poutine slinging mobile food truck promising real, home-style poutine – but an examination of their Twitter account revealed that they moved operations to the greener pastures of Salt Lake City, UT in October 2013. Things were getting depressing. If nachos are the nachos of Mexico, and poutine is the nachos of Canada, what are the nachos of the US? Still nachos?I’m not sure, but leave your best guess in the comments. Finally, I found success at Little Fork, Hollywood – a cool little box of a restaurant dedicated to serving Canadian food up right. Over a couple cheap Molsens I enjoyed my first real poutine – smoked meat gravy, gooey cheese curds and all. Folks, it was a delicious heap of a hot mess. So it was with considerable anticipation that I cooked up Trader Joe’s Poutine on my stove. After following the direction and digging in – I’m sorry to report that I didn’t like it very much at all. The gravy is fine, and the cheese curds, though saltier than I like, are as thick and squeaky as you could ask for. 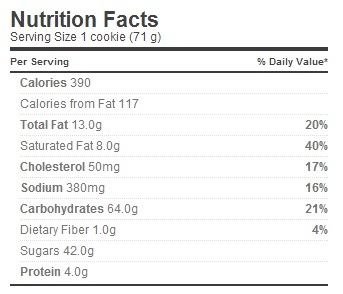 The problem, unfortunately and unavoidably, is in the fries. It’s next to impossible to cook fries in an oven and have them be anywhere as near as good as fries out of a deep fryer. 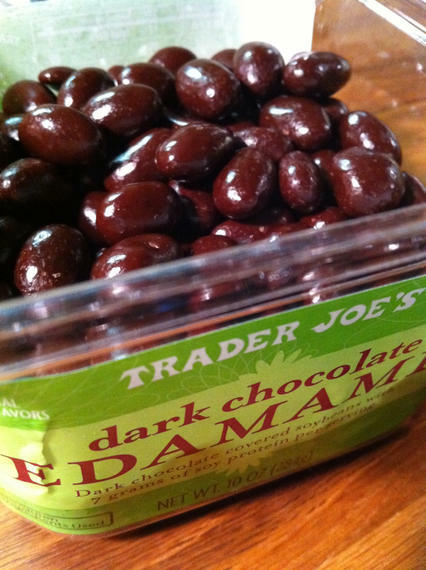 Countless brands have tried to do it, but none, not ever Trader Joe’s, has succeeded. Without the deep fryer, fries aren’t fries – they’re just dull potato planks. 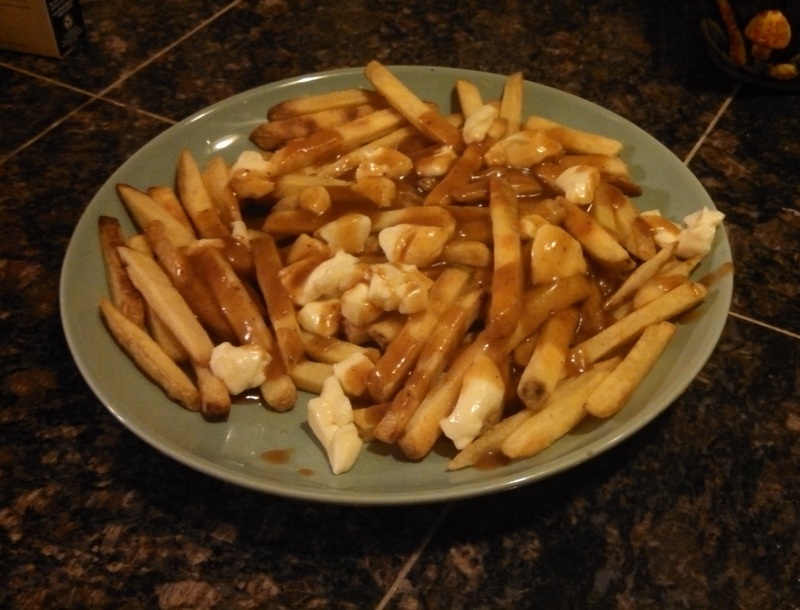 There are some other minor difficulties with Trader Joe’s Poutine – I found it hard to heat up the cheese curds without them melting together into a big blob, even by heating them in a water bath, but these are only petty concerns. The heart of a good poutine is in the good fries – take those away and your might as well just have your cheese and gravy on a baked potato. Honestly, you’d be much better off buying some good fries from a takeout joint and adding the curds and gravy to them than you would be buying this frozen bag of flat potato slices. 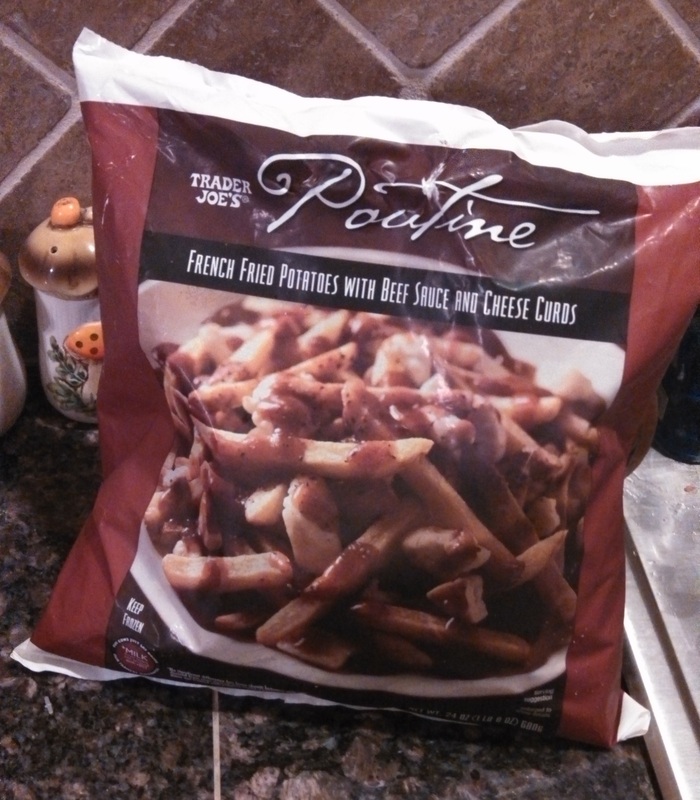 Thank you, Trader Joe’s, for bringing us the delicacy of rural Quebec, but these fries simply won’t do. Would I Recommend It: Not with these fries I wouldn’t. Would I Buy It Again: No – I’ll just wait for the Poutinere to wheel it’s way back here. Final Synopsis: The great Quebecoise cuisine brought low by inadequate fries.